Even though most dragons are scary, this sleepy dragon mask wouldn't hurt a fly! 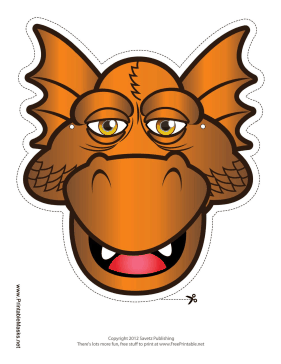 With brown skin and a great big grin, wearing this dragon mask will make you the friendliest monster in the room. This mask is free to download and print.